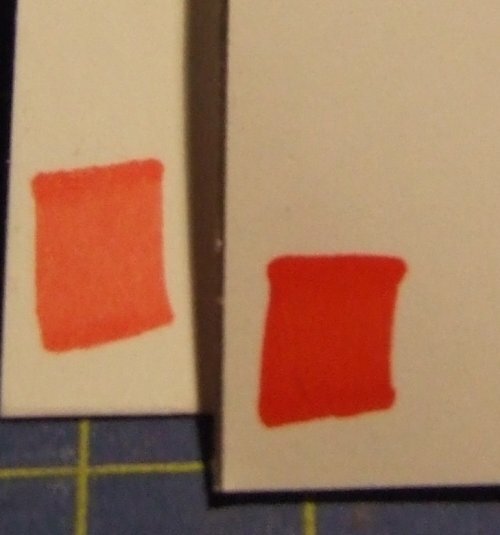 Comparison of different cardstock for colouring mediums. In my quest to find the perfect card for colouring in with Copics and Promarkers and for taking inkjet printer ink vibrantly and true, I have carried out a test on the current card I use against my new find! I was using the Concord record cards and it was fine but my colours never looked vibrant enough. My son works for a paper company so I asked him for some samples and have found the coated poster paper is far superior as the colour stays on ‘top’ and is much more vibrant. He got me a 30m roll so I will be ok for a while, but obviously it is not available to the general public so I searched around and found the next best thing is this Duo-Matte 220gsm coated on both sides inkjet photo paper from Tonik. Just wanted to share my find with you all, happy colouring!!! The top picture is where I have also tested the SU Whisper White cardstock and whilst this is lovely card it still doesn’t take the colours as vibrantly. The SU card is on the left and you can see the red copic marker looks almost orange on it compared to the new paper. 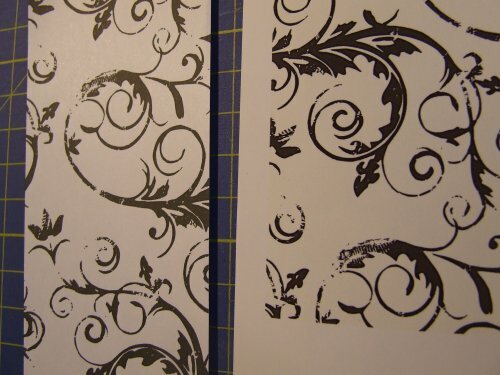 Next are pink petticoat papers with the cream background – the normal paper on the left and the new one on the right and you can clearly see that the cream background colour doesn’t show as well on the ordinary high quality inkjet paper and that the brown is less vibrant. The middle picture is comparing with promarkers and the bottom is copics, the paper on the bottom is the new coated card and the one on the top is the ordinary Concord card, you can see the difference in the vibrancy of the colours.